(Natural News) Sunny California has become known for its expansive policies geared towards environmental protection and conservation. And yet, research shows that in Los Angeles alone, residents have managed to destroy over 50 percent of the city’s greenery in just 10 years. Apparently, in the “City of Angels,” trees are only worth saving when they aren’t in your own backyard. California continues to show that it’s really not all it’s cracked up to be. Researchers from the University of California’s Spatial Sciences Institute say that preventing the removal of trees and other greenery to pave the way for bigger homes and nicer driveways would likely go a lot further than planting trees alone. 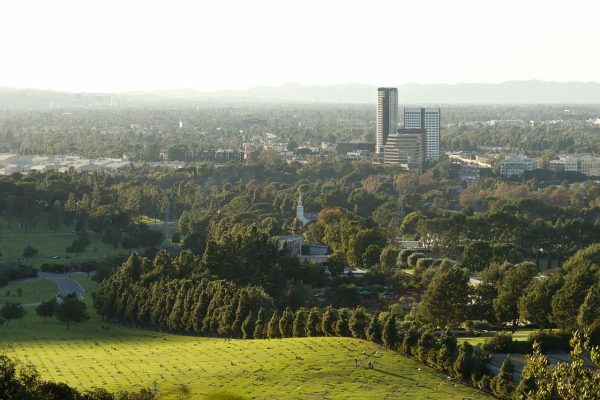 Using aerial images, the scientists have discovered that the rate of what they call “de-greening” has reached a high of 55 percent in some areas of the Los Angeles region — meaning over half of the trees and other plant life in some neighborhoods are long gone. To conduct their research, the team from U.C.’s Spatial Sciences Institute used digitized high-resolution aerial images, which were graciously provided by the Los Angeles Region-Imagery Acquisition Consortium. After classifying what was observed in the images into six different categories of land cover, the team compared changes in the images from different points in time. Images from 2000 and 2009 were used for comparison purposes. Urban forests have suffered, according to Longcore, due to the increasing size of single-family homes and the desire to have more paved and developed surfaces. Sidewalks, pools and other accouterments also play a role in the chopping down of valuable trees and other greenery. In addition to the woes of the Los Angeles area, the entire state of California has been losing trees at a record pace. In late 2016, it was reported that approximately 62 million trees had died in the Golden State in just one year. Trees residing on federal, state and private land were all part of this devastating loss. And when compared to 2015’s loss of 29 million, it’s clear that 2016 was a frighteningly bad year for trees in California; the tree death rate increased by 114 percent.